Southern Tire Mart is your source for America's favorite quality brands. 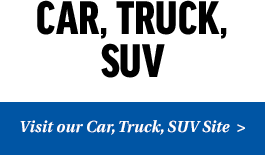 At locations throughout the southern United States, we continue the mission we began in 1973 to serve families and businesses with the best passenger and commercial tires on the market. And, to provide you the latest in parts and products at the best prices with unparalleled service. Whether you're looking for semi-truck tires or car tires, you'll find just what you need right here and you'll discover why Southern Tire Mart is North America's #1 Commercial Tire Store! Contact your nearest location today to schedule a service or learn more about our tire options for fleets and passenger vehicles. The Maintenance Plus Program is offered at 24 locations across multiple states. Maintenance Plus by Southern Tire Mart is dedicated to providing our customers with the most innovative and highest-quality service in the industry. We make fleet maintenance simple using advanced technology, detailed reporting, and innovative communication.